Totally amazing when we see one of our photos on the cover of a magazine. 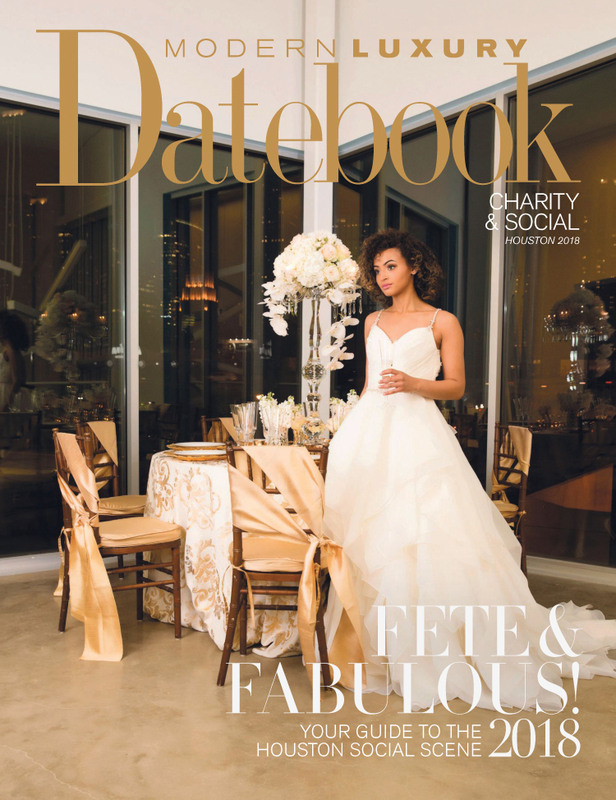 We were part of a collaboration of vendors that put together this photo featured on the cover of the 2018 Modern Luxury Charity and Social Datebook. This extensive shoot encompassed three different setups over a 12 hour period, from daylight to moonlight. The shoot was staged in the new building for Big Brothers Big Sisters of Greater Houston across I-45 from the Aquarium Restaurant, with an incredible view of downtown. We went through 3 linen changes, 4 china patterns and about 8 dresses. We carried 3 tables, 24 chairs, china, glassware and 4 buckets of floral up 3 flights of stairs because we were the first ones to photograph in this brand new venue. Unfortunately for us the elevator was not yet operational. Funny thing happened on the way to the printer… the shoot was shared with Modern Luxury, but there was no clear list of vendors and our photographer got lost in translation. We’ve talked to Sarah Leftwich, editor of Modern Luxury and thankfully, David Jones, lead photographer, at D Jones Photography will be receiving credit online and the next issue. Until then we are celebrating our Cover Photo. We would like to acknowledge our partners and thank them for their participation.